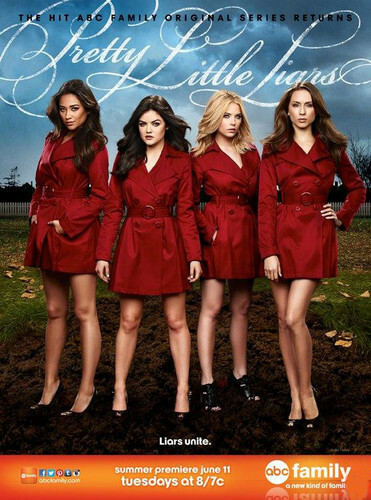 Pretty Little Liars Season 4 Poster. . HD Wallpaper and background images in the Maonyesho ya Televisheni ya Pretty Little Liars club tagged: pretty little liars pll season 4 poster. This Maonyesho ya Televisheni ya Pretty Little Liars photo might contain overgarment, vazi la nje, vazi nje, sanduku kanzu, and koti ya kisanduku.